It seems everyone expected that I had tried the Impossible Burger ages ago, but in fact, I didn't sample it for the first time until yesterday at Saxon + Parole, one of the growing number of restaurants in New York CIty serving the Impossible Foods version of a veggie burger that is so much like meat that it was designed to look like it is still bleeding. 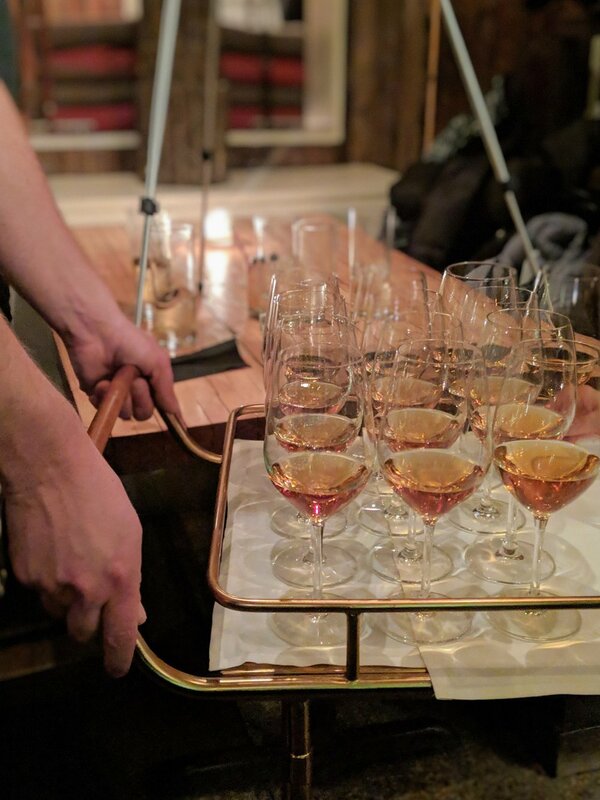 The restaurant—which is gorgeous inside and has a botanical, almost woodland-inspired bar area—was hosting a special event for Slane Whiskey, an Irish family-owned brand I’ve covered in the past for their sustainability practices. And yes, Impossible Burger sliders were on the menu. Naturally, I jumped at the chance to finally try them—although I already had mixed expectations going in. The thing is: I never really cared for meat, so it was not hard for me to give it up (and I have for years). I actually like the taste and consistency of veggie burgers because they remind me of falafel, and just feel better while both ingesting and digesting them. And yet many people constantly berate me asking if I miss the taste of meat because they can't imagine that I wouldn't eat something just because they do. Thus why...I did not like the Impossible Burger. It tastes just like a regular hamburger in both flavor and texture. But all of this is fine because the Impossible Burger is not meant for me. I am not the target market. We don't all have to like and eat the same things! So everyone else looking for a meat replacement that really tastes like meat should dig in and enjoy.